I must admit I have a sweet tooth, and many fond childhood memories of going to my local shop to buy a quarter of my favourite sweets......So to my delight I was thrilled to try the amazingly awesome range of retro sweets from Gobstopper. 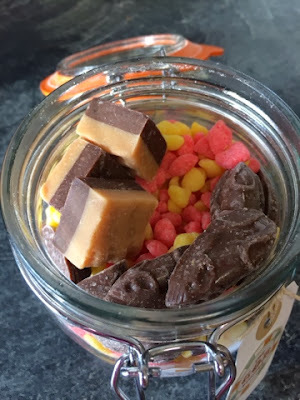 Gobstopper are a retro online sweet store and stock the most awesome selection of retro sweets from chocolates,boiled sweets and chewy treats..They defiantly have a sweet treat for everyone and some absolutely fabulous gift ideas too. I absolutely loved Gobstoppers extensive range of retro sweet which took me back to the good ole days. I really liked the cool idea of the retro Click and Mix jar...which offers a very stylish Kilner jar full of retro sweets...how awesome.... you can choose to fill your jar with your favourite sweets ...But the difficult part for us was choosing and agreeing on our sweet selection. 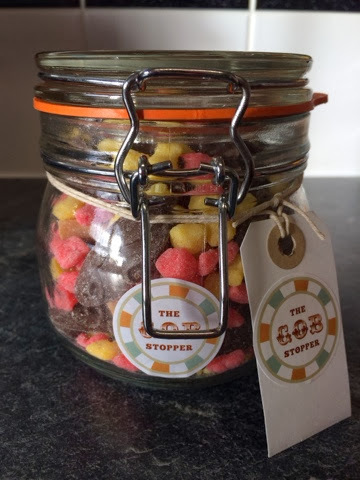 After a very very long time on the Gobstopper website we finally came up with our favourite sweets...We choose...milk chocolate mice...sherbet pips and fudge...yummy. 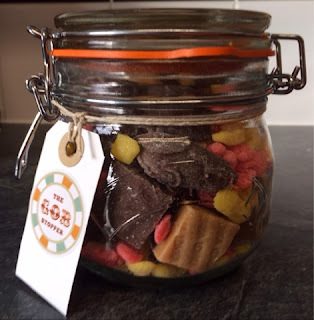 We were absolutely delighted when the sweets arrived...an awesome jar filled with retro sweets...I must admit, I headed into kitchen to indulge in the first taste test....As I knew as soon as the kids saw them it would be hard to get a look in.....They tasted amazing just like I remembered....The kilner jar gave the sweets a special gift like feel and kept our sweets fresh and tasty in the airtight jar....We totally loved the Click N Mix jar and really look forward to purchasing another jar soon. We were given the Click and Mix Retro sweest to taste and review...All thoughts are honest and of our own opinion.